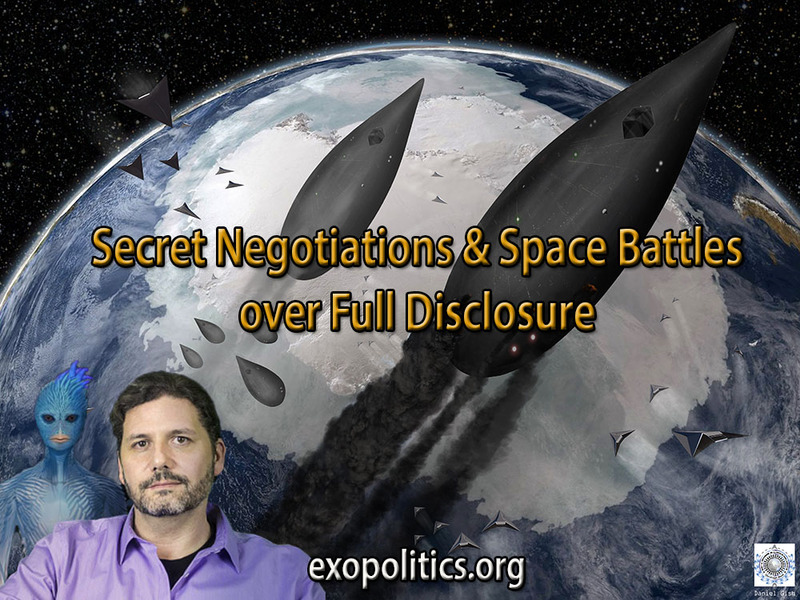 In this second article in a series discussing Corey Goode’s latest update about his meetings with representatives of extraterrestrial groups, Inner Earth civilizations and the “Secret Space Program Alliance,” I focus on what he claims to have been told about ongoing negotiations and battles between Cabal/Syndicate groups, and the “Earth Alliance”. Gonzales greeted me with a big smile and asked “I hope you didn’t miss me too much”. It was nice to see that he still had the same sense of humor. 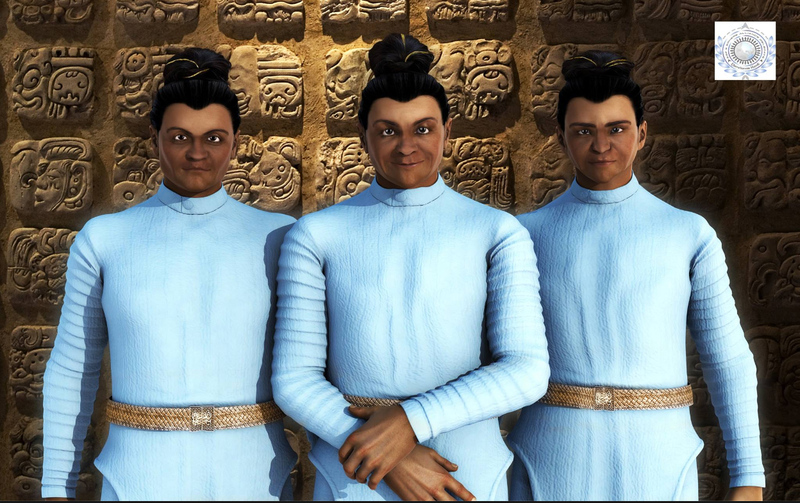 He had just gotten back from a meeting with the SSP Alliance where the Mayan group was also present. On two separate occasions, he noticed two of the priest caste walking down a corridor that ended in a solid cave wall. They walked right through the wall but he was unable to do so himself. It was quite difficult for him to find a way to look into the room they had gone into, but eventually he discovered a fissure in the wall that allowed him to see where they went. When he looked in, he saw a number of different types of giants that were conversing with the two priests. Their heights varied considerably. These giants were very upset. They appeared to be prisoners or refugees. The bigger one that was conversing with the priest in the front had his head in his palm. He was making what Gonzales perceived as groaning noises. Shortly after that incident, Gonzales had worn out his welcome and was asked to leave. He didn’t have any information on why the giants were there. Gonzales then went into recent details about negotiations between the Earth Alliance and the syndicates that make up what many of us refer to as the Cabal. These negotiations seem to be going nowhere fast. They are now debating the fates of the syndicate members and those that had worked under them – both wittingly and un-wittingly. These syndicates insist that either everyone in their groups are given full immunity and pardoned from prosecution, or no one should receive immunity. Gonzales said that the document dump event may start off as a data-dump war. The Panama Papers seemed to be the Cabal’s first strike to let the Alliance know that they also had incriminating evidence that could put many of them on trial as well. They have cooked up cover stories involving nuclear-powered satellites crashing and causing contamination in large areas. This could compel people to either flee or stay in their homes until informed otherwise…. Goode’s information suggests another possible interpretation. What the three remote viewers may have witnessed was a spacecraft crashing after a battle between the Earth Alliance and Cabal/Syndicate space fleets. Such an incident may be easily confused with an asteroid impact, or involve the use of Directed Energy weapons, as the above interpretations of the three remote viewers descriptions suggest. While the month of August is almost over, according to Goode’s information, there is a growing likelihood of such an event happening in the near future. This means that the SSP Alliance can’t simply go forward with mass document dumps using its own operatives and resources. Such action has to be taken in coordination with the Earth Alliance, which is currently locked in an acrimonious negotiation process with the Cabal/Syndicates who still weld considerable power on Earth despite recent set backs. There is a real and terrible possibility that a major urban area and/or a U.S. city could be impacted by one of the advanced spacecraft shot down in one of the ongoing space battles between the Earth Alliance and Cabal/syndicate groups. Such a potential event by itself earnestly compels us to re-focus our attention wholeheartedly on humanity’s optimal timeline occurring.